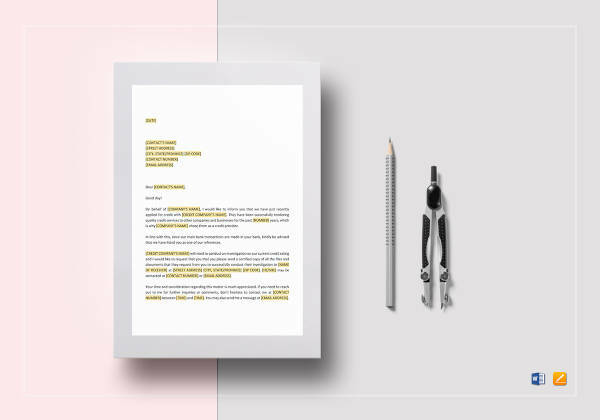 A report is a written or oral form of statement which gives a detailed information about something or someone directed to a particular audience. Importance of reports include information gathering and documentation, to name a few. This is why reports are considered as one important source of information and is widely used until today. 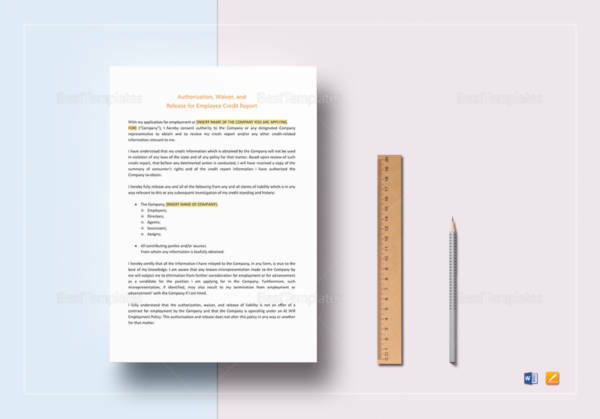 Reports are also widely used in business. 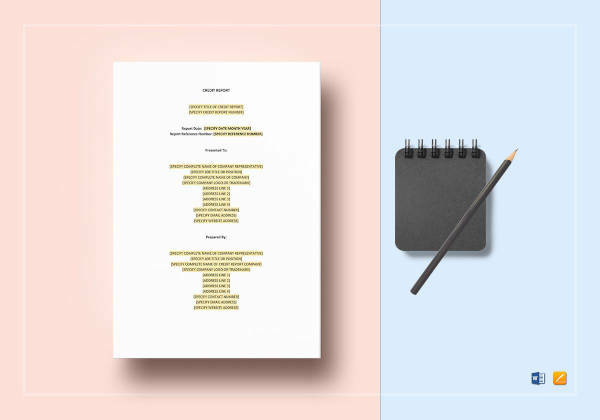 They provide the information needed for a business owner to check on day-to-day operations and other important matters regarding his/her business. 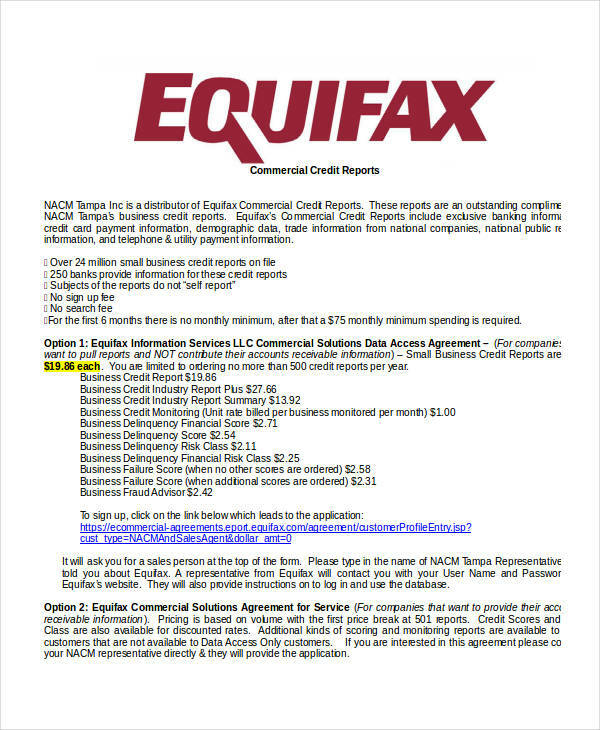 For instance, credit reports provide the information a financial institution (e.g. 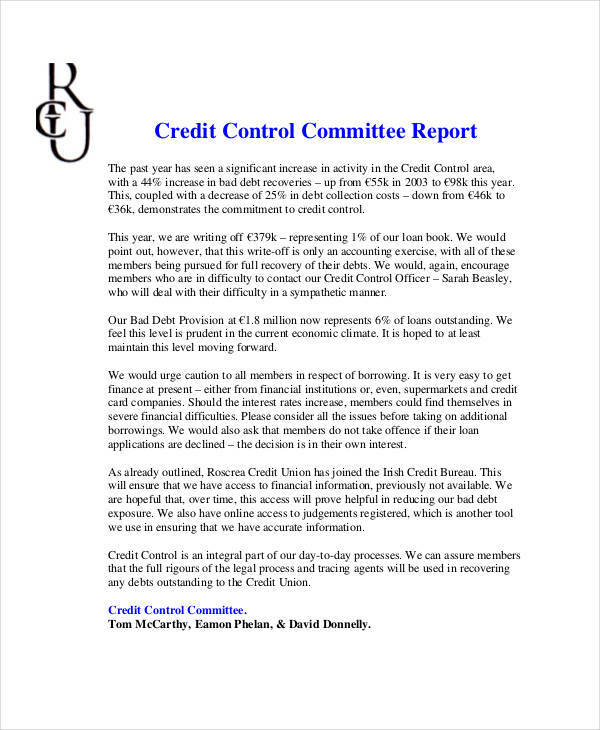 bank) needs when conducting a credit report inquiry. 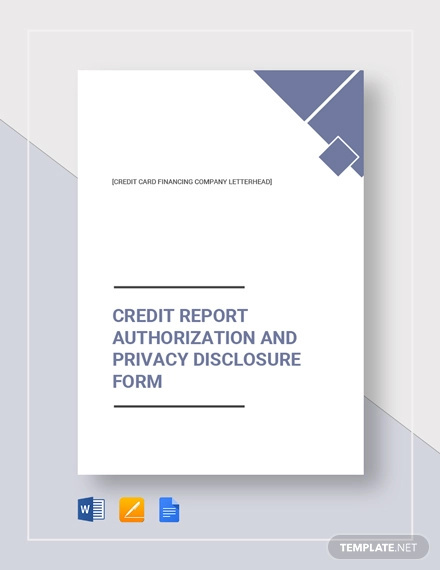 An individual’s credit history, that is credits and credit accounts, and any other information on transactions involving financial companies (and the like) is usually found in a credit report. 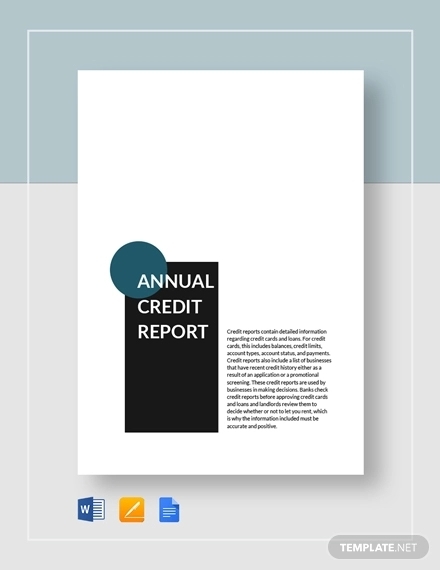 Credit reports are usually managed by credit bureaus, also known as credit reporting agencies which make the information available for those who need them (i.e. financial institutions and credit card companies). 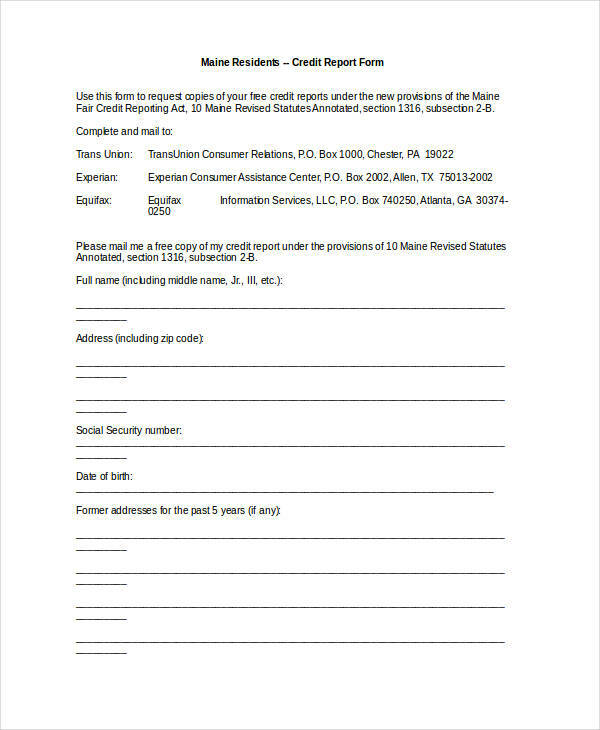 Credit reports also list all personal information including a person’s address, criminal records or history of lawsuits, any foreclosed property, and any records bankruptcy filings. Purpose of a credit report determines if he/she is worthy or unworthy to be granted of loans of any kind. 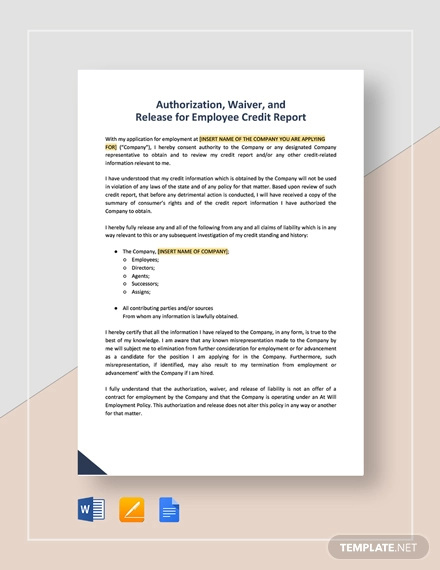 People who do business with you rely on credit reports to see whether or not you know how to handle your finances including credit activities. Lenders or credit card companies use the data to determine if you are capable of paying your debts. 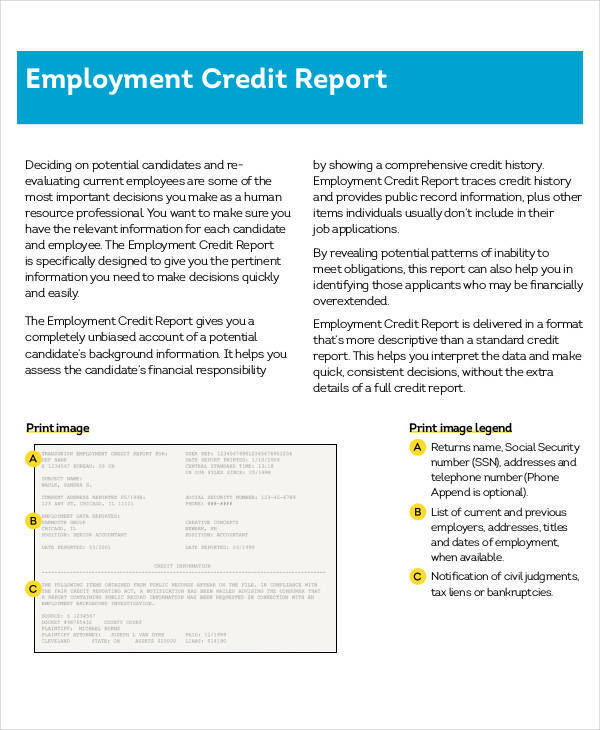 Employers check your credit status to judge your diligence or any misbehaviour when it comes to paying debts. Simply put, credit reports are reliable sources of important information about an individual, most importantly his/her financial status. 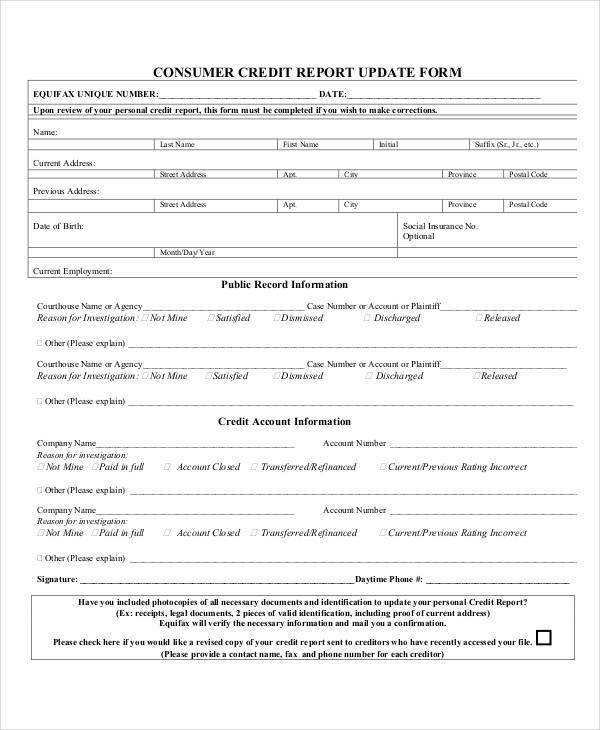 Credit report form examples are listed here for your guidance. Ensure an accurate report. Make sure the information listed is accurate. If not, do something about it. 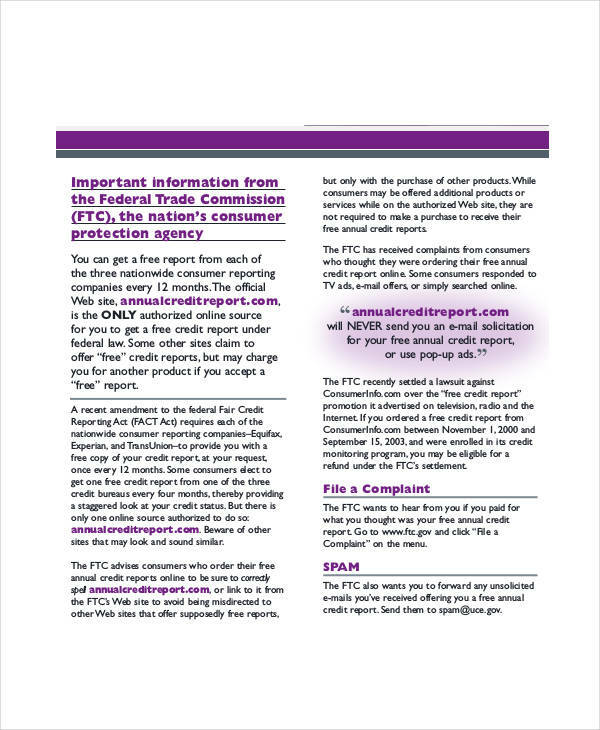 Keep an eye on your credit card balances. Are your balances too high? If so, pay them off. Pay on time. If you want an organized credit report, pay your bills on time. Be responsible. 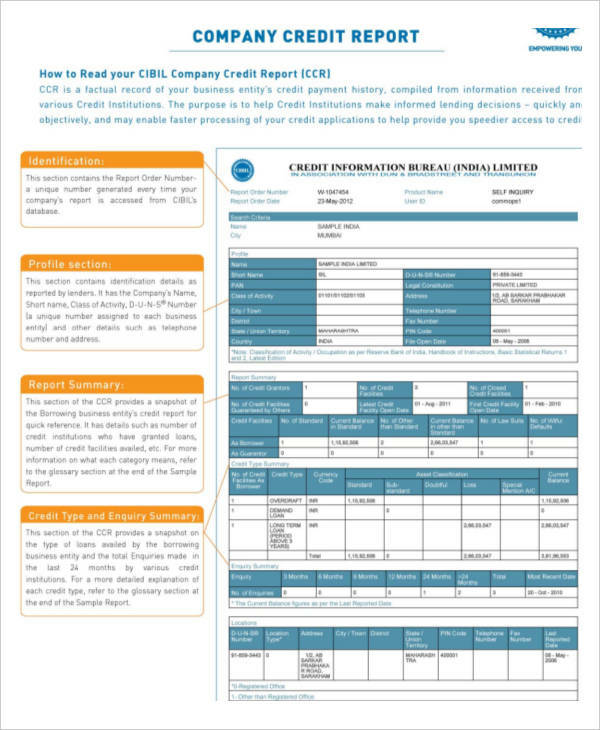 You want to improve your credit report? Then be responsible of your own credit card accounts. Checking for errors. 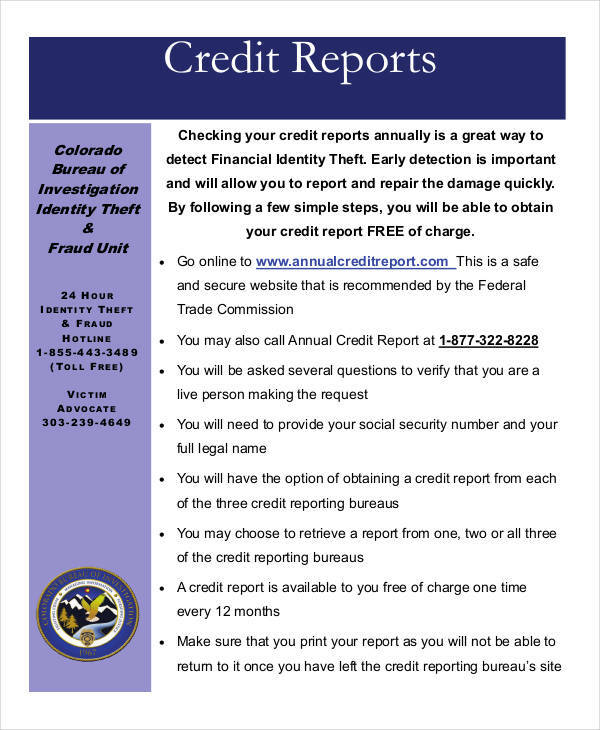 Checking your credit report often will help you see errors such as identity theft. 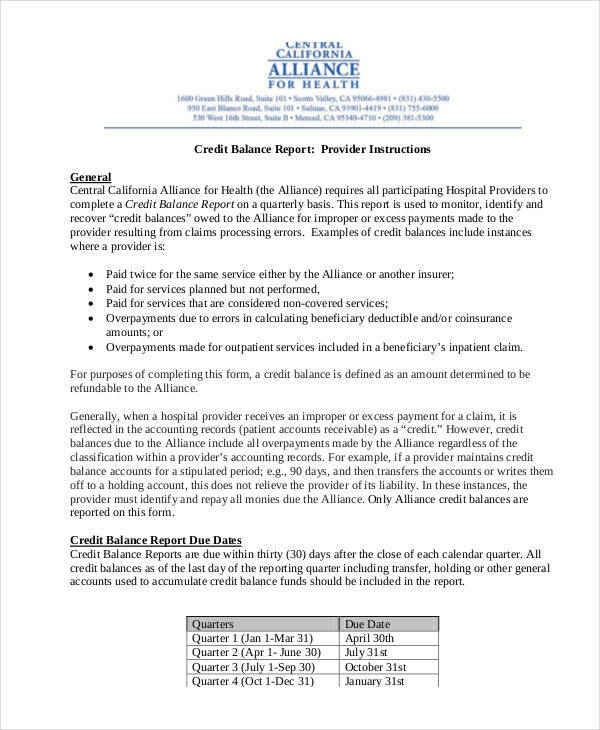 Reviewing credit status. This determines if your credit record is in good form, and is essential if you are applying for another loan. Ensuring report accuracy. This will help you know if all information of your past and present transactions are correct. Keeping track of your finances. This will help you in managing your finances, especially if you are saving up.